Chair in social work and health inequalities Julie Fish reviews The Lives of Older Lesbians: Sexuality, Identity & the Life Course. 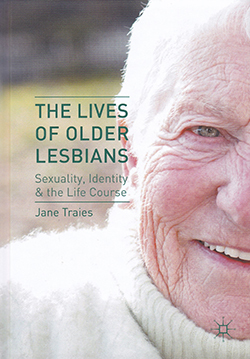 In The Lives of Older Lesbians: Sexuality, Identity & the Life Course, Jane Traies suggests that older lesbians occupy a place that is a kind of cultural Bermuda triangle into which they disappear without trace. It is against this backdrop that she has conducted a survey worldwide of more than 300 lesbians aged between 60-90 years old, together with face-to-face interviews, to document their lives and experiences. She provides texture to older lesbians’ lives by discussing the variety of her participants’ domestic and personal relationships. The survey posed interesting questions about the degree of disclosure of their sexual orientation in the past and their current levels of disclosure. Older lesbians trusted friends more than family, and health professionals were trusted at a similar level to neighbours: approximately one third had come out to professionals providing care. While the book is not specifically aimed at nursing professionals, it provides an engaging read; I would urge nurses in gerontology to dip into its pages for a fascinating and unique account of the lives of this hidden group of women.